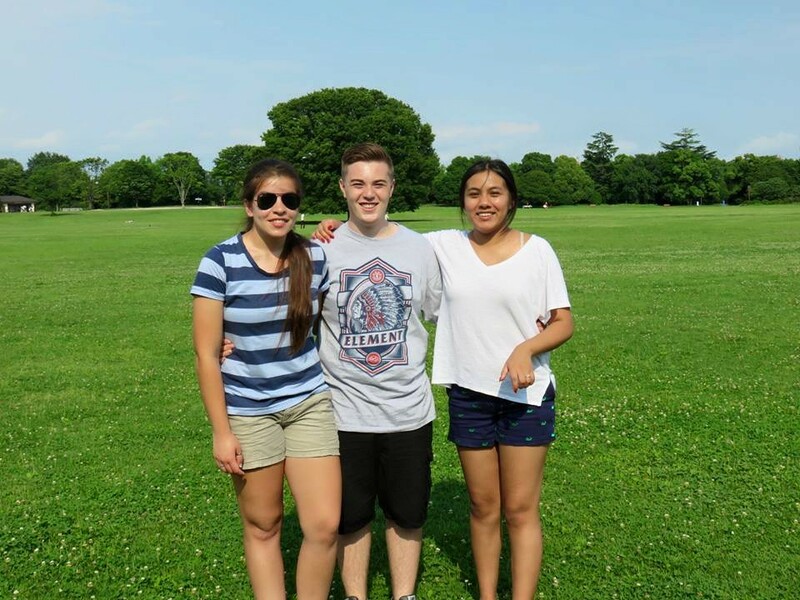 One of our Tachi-Girls, Bella, was the winner of Sister Cities International's contest on Instagram. The picture to the left was posted on Instagram along with the caption, "This is a self portrait of me and the Iwamarus, my host family in Japan." Through @sistercitiesint and the San Bernardino Tachikawa exchange program, everyday I learn more and more about them and they learn more about me. Through this exchange I know we will become lifelong friends. When I finally meet them in person in June, I will have the privilege to be their daughter for a month. This exchange brings peace between our communities as we experience and learn to understand each other's culture. Posted here from San Bernardino, California." This year the committee in Tachikawa, Japan has chosen one boy and two girls as their student ambassadors, also known as "San- Kids". The pictures below show this years San-Kids as they appear in Japan's ambassador announcement and with their individual families. Kotaro Iwamura is a first year student at Toho High School, and likes sports and music. Hana Kumada is 16 years old, loves her dog, practices ballet and enjoys eating different foods. Kaho Araguchi is also 16, in her second year of high school and enjoys cooking. The San Bernardino committee looks forward to welcoming these students when they arrive in San Bernardino on July 16th with our American students. The committee is excited about getting to know these young people during their month long stay here in San Bernardino. 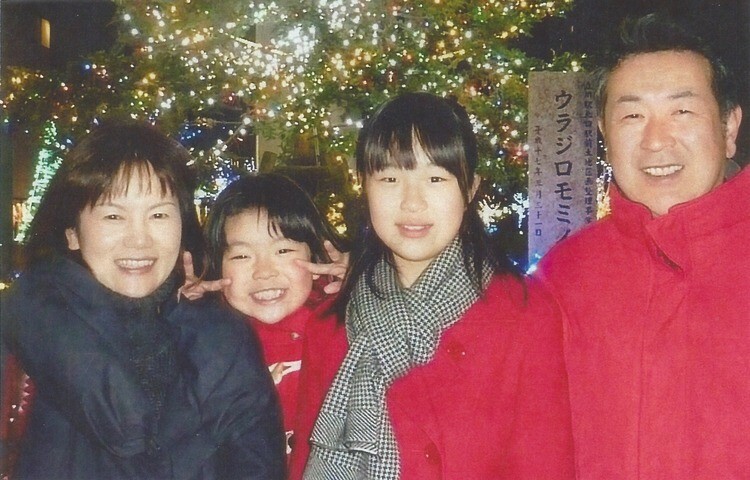 Hana Kumada and family. She will be hosted by Yazmin Hernandez-Aragon and her family. Kaho Arguchi and family. She will be hosted by Ashlynn Mudgett and her family. Kotaro Iwamaru and family. He will be hosted by Bella Cantu and her family. This year our committee has chosen 3 girls to be our ambassador; our traditional name of "Tachi-Kids" has been switched this year to "Tachi-Girls". The picture to the right is of the girls from left to right, Yazmine Hernandez-Aragon (Cajon High School), Ashlynn Mudgett (San Gorgonio High School), and Isabella Cantu (Springs Charter School/San Bernardino Valley College). Our committee is looking forward to getting to know these girls and their families over the exciting summer we have planned! Stay tuned for more information about what fundraisers and events we will be having this year! In light of the tragic events that took place in San Bernardino on Wednesday December 2, 2015, the Tachikawa San Bernardino Sister City Committee would like to extend its condolences to the family of Mrs Keiko Saruwatari and the Sister City Committee of Tachikawa, Japan on the passing of Mrs Keiko Saruwatari. She was loved and respected by many in Japan and here in the United States. 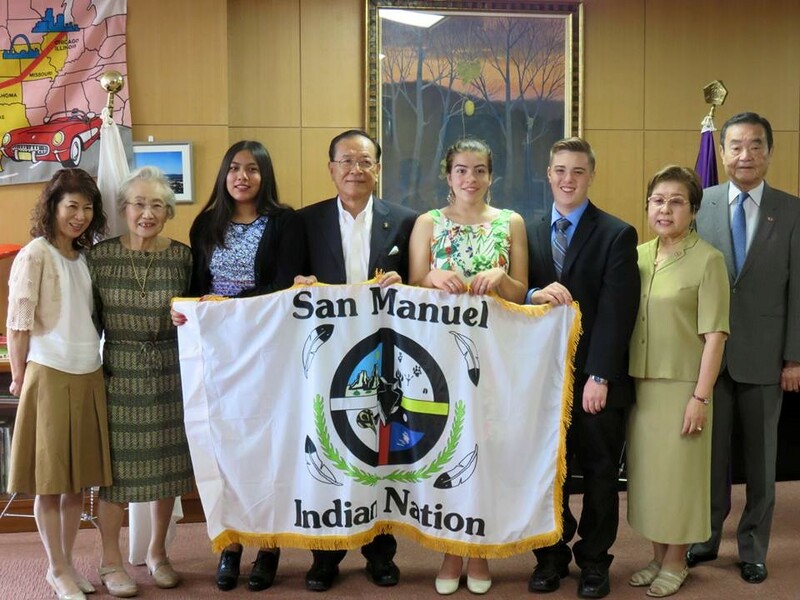 She chaired the committee in Japan for more than 30 years and encouraged the exchange of students and the forging of life long friendships between San Bernardino and Tachikawa. She will be greatly missed. Flowers on behalf of the committee were sent to Japan in rememberance of her. Please note that the City of San Bernardino suffered a great loss of life on December 2nd and appreciates all the concerns and inquires we have received from Tachikawa as well as other parts of the country. Time will heal our City. San Bernardino is strong! Summer 2015... It's a wrap!